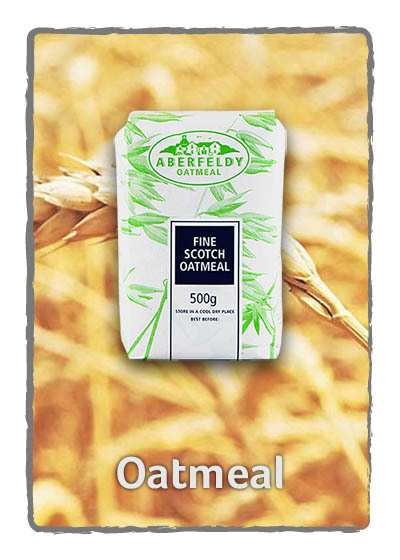 Fine oatmeal is ideal for making porridge for young children as the texture is smooth and creamy, making it easier for babies to eat. 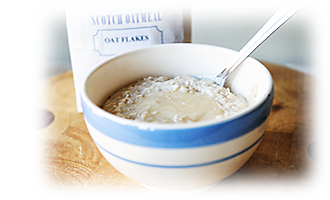 Fine oatmeal can also be used as a thickening agent for soups, sauces and as a course flour for baking. Also available in 2kg bags. 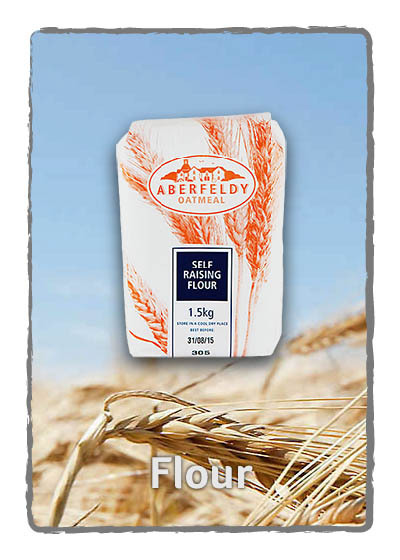 Available in 500g, 1kg & 2kg bags. 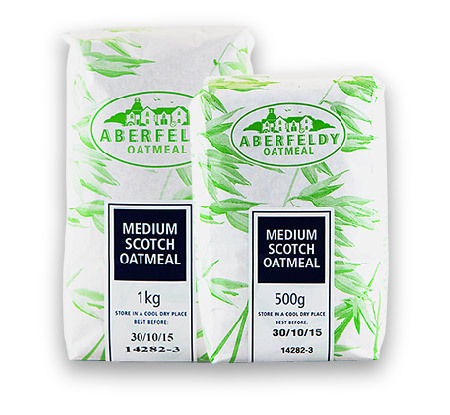 Medium Oatmeal is ideal for making porridge. It's smaller granular texture can be used to coat fish before frying, also used for steaks and diced beef before cooking. Also available in 2kg bags. 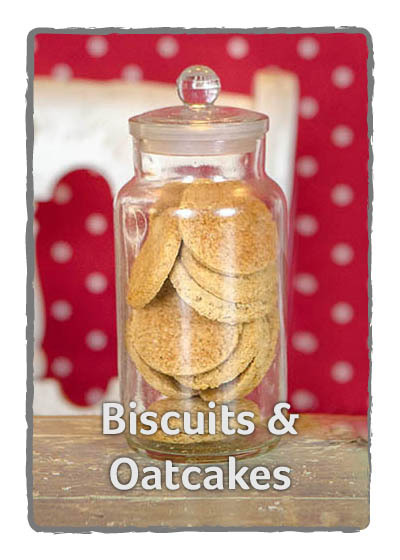 Coarse oatmeal is a rougher cut of medium oatmeal; often used to make oatcakes for a crumblier texture. 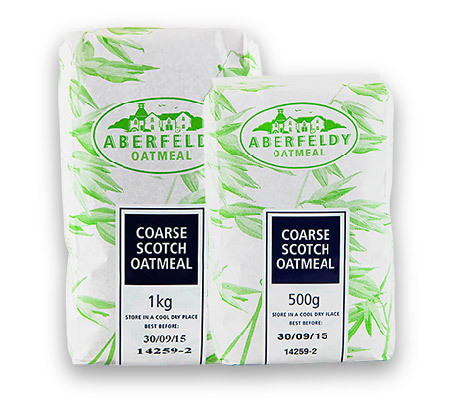 Coarse oatmeal can also be used in stuffing’s and skirlie, a Scottish dish made with onions and seasonings. Also available in 2kg bags. 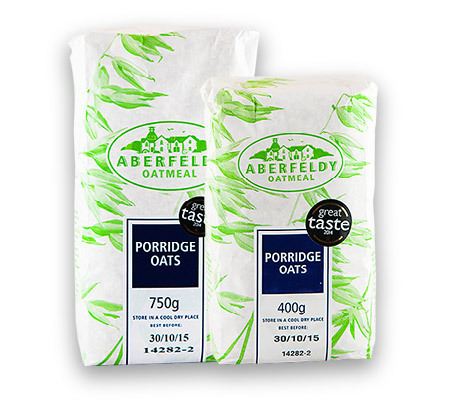 Aberfeldy’s porridge oats are ideal for making authentic porridge as well as flapjacks and are perfect as a crumble topping. 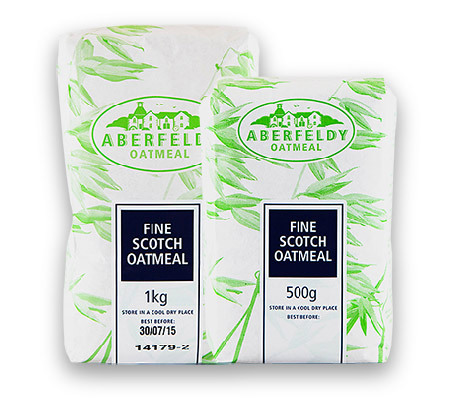 Aberfeldy oatmeal’s quality shines through every time. Also available in 1.2kg bags. Available in 400g, 750g & 1.2kg bags. 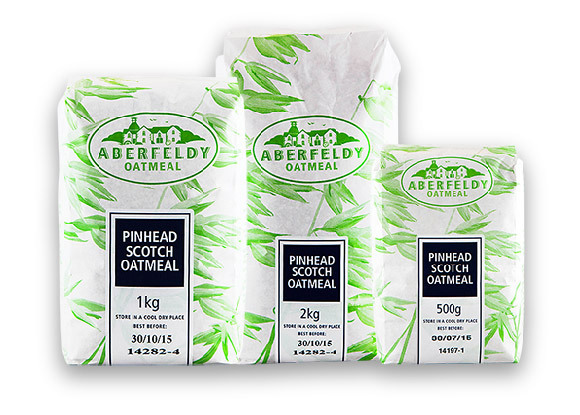 Pinhead oatmeal is also known as steel cut oat groats. A very coarse oatmeal, it can make a very traditional bowl of porridge and can also be used in soups to give body and also as a topping to pies, puddings and crumbles. This is our family recipe which we make at home for ourselves and our three children. Hope you enjoy it as much as we do! Ingredients: 1 cup of porridge oats, 2 cups of milk or water (whichever you prefer). Method: Place the oats in a pot along with the milk (or water) and mix well over a medium to high heat. Continually stir until the mixture is bubbling and nice and thick. Remove from the heat and your porridge is done! 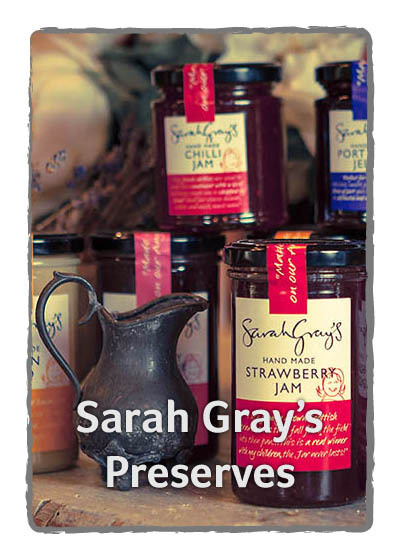 Top with fresh raspberries, honey or add a spoonful of Sarah Gray’s jam.